We Want to Hear from You - Make a Connection – Really! Life happens. Children get sick. Cars break down. Storms cut off electricity. We even understand that sometimes all these things happen within a week to some people! Around our offices we blame it on the sun/moon/star alignment. Or we call it the dark cloud syndrome. But it really is just life. As the organized mystery shopper we know you are – when life happens and you find that moment to ask yourself, “What was I supposed to be doing?” and you remember it was a secret shop, we ask only one thing. Or call us and leave a message. Have your best friend email us and tell us what happened. Send a private message on our Facebook page. We’ll understand, we really will. After all, we are human too. All we need for you to do is contact us as soon as possible. Respect our deadlines and our need to get a job done, and we will respect and understand your circumstances. Should you not be an organized mystery shopper and not contact us, ignore our emails for an update, or call a week later telling us you had forgotten about your assignment, but still want to do the shop … well, we can’t promise anything. So, when life happens – please make a connection! We love to hear from you. Which brings us to another subject I’ve heard shoppers talk about. Talking with a live person at a mystery shopping company. One person told us – they hate to leave voicemails and think this is a huge inconvenience. So … they won’t leave a message. How are we supposed to know you need to talk? We would love to answer your calls and chat with you. As a matter of fact, that is one of the things we miss most from the very early days of being in business. Way back in the 1990’s, there was no internet (really!) as we know it today. Mystery shopping companies advertised in newspapers and left flyers in places where people shopped. Interested people would call us to ask for more information and we’d chat and get to know them a bit. We would send them an application (by US Mail!) for them to return (by US Mail again!) –and when we needed someone for an assignment, we would take down one of our big binders that were labeled by state, page through them and identify several shoppers who were close by. We might even remember that one told us she really, really liked to eat at fast food places. So, if we had that type of assignment, we would call her first, then we might make several phone calls to see if anyone else could be a backup. Boy! Does that sound ancient! Flash forward to today when 90% of our staff can work from their homes. They log into our database of shoppers, send out the solicits, assign you your shop, follow up with the you via email, and send the reports to our client with the stroke on their keyboard. We know it’s much less personal, but it’s the way things work today. Especially when you are filling hundreds of shops each month. But this doesn’t mean we don’t want to talk to shoppers! We still love to get to know our shoppers. After you fill out your application online, send us a note telling us you did it, where you live and the types of shops you like to do. We’ll respond. Really, we will! Because that is who we are at Market Viewpoint. And we’ll remember you reached out! When we see your name as one of the applicants for a shop – we’ll remember what you told us. 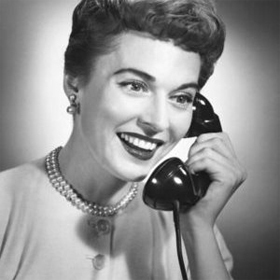 Or –if you have more questions about our processes or procedures, DO leave a voice mail message. Or email us telling us you’d like a call to discuss your assignment or procedure or whatever! And one of our admins or schedulers will give you a callback. You are important! And we do have the time! We just need to know you want to talk to us!